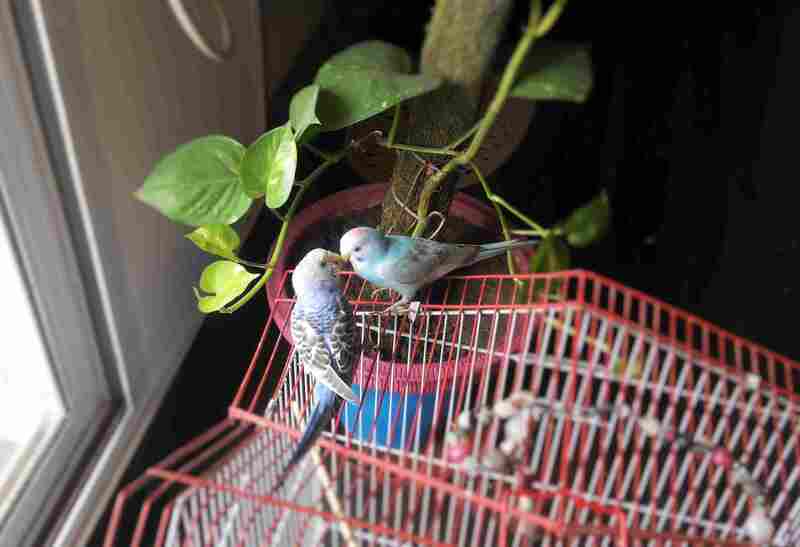 In the past several decades, keeping birds as pets has become extremely popular all over the world. The vast majority of bird owners seem to prefer keeping their feathered friends inside their homes, but some bird owners opt to house their birds outdoors some or all of the time. While it can seem that keeping your pet bird outside can have several benefits (and indeed, it can), there are also risks and drawbacks to outdoor housing that should be considered before you rush to set up an external enclosure. Read on to discover some of the issues that can arise from keeping your bird outside, so that you can make an informed decision if you have been considering moving your bird out of the house. Exposure to temperature extremes in the form of both heat and cold weather can be unnecessarily detrimental to an exotic bird's health. That said, it can be extremely hard to insulate a birdcage effectively enough to protect its occupants from the wide array of harsh weather conditions that they would encounter outside. Birds that get too hot or cold can be at risk for fatal illness if they aren't able to get to the proper shelter -- add other weather events like rain, hail, and lighting to the mix and the risk is increased even further. Because of the variables that weather conditions encompass, it is often the best idea to house your pet birds inside of your home with the rest of your family. Birds that live outside encounter a whole host of pathogens and parasites that can be avoided by living indoors. These include avian flu, parasites such as mites and worms, bacterial vectors that cause diseases like Psittacosis, and too many more to name. While there are products available that claim to prevent some types of parasitic infections, it is very hard to prevent illness in regards to viral and bacterial causes, especially once a bird has been exposed. Because of this, the only way to prevent these types of illnesses is to avoid exposure to them -- and keeping your bird indoors is the only way that you can hope to have any control over that. For obvious reasons, a bird who is housed in an outdoor enclosure is at an increased risk for a fly-away. If the bird happens to be a parrot of any type, then the risk goes up -- these highly intelligent birds are well known for figuring out how to open even the most complicated cage door locking mechanisms. If you bird escapes his or her outdoor enclosure, not only are they apt to fly away out of fear or curiosity, but they also risk injury from native bird species, exposure to environmental hazards, and the onset of extreme stress and shock. Avoid this type of situation by opting to find a comfortable location for your bird to live inside of your home. Evolution has given our feathered friends the instinct and equipment necessary to escape predators many times, but not all of the time. Captive pet birds may have even more difficulties escaping harm's way than their wild counterparts do, as their instincts for detecting danger may not be as sharply honed. All sorts of animals, including cats, dogs, snakes, and even other birds could target your feathered friend as a potential meal if he or she is housed outdoors. Even if your bird is securely confined in its cage, there is always a risk that a predator could dismantle the enclosure to get to your pet inside. Keep your bird safe from this horrible fate by choosing to keep it inside where it can be healthy, happy, and safe. Birds who live outside, even in an outdoor cage, are at risk of coming into contact with toxins in the environment that can make them sick. These could be in the form of plants, pollution, or even insects who have been exposed to pesticides or other chemicals. Control your bird's exposure to these risks by always keeping your pet indoors where it is safe, and where you can supervise your bird when it is out of its cage.